Femi Oyebode was born in Lagos Nigeria. 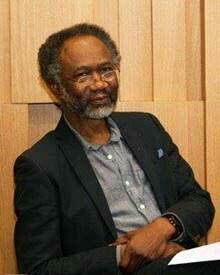 He graduated with distinction from the University of Ibadan Nigeria in 1977. He trained in psychiatry in Newcastle-upon-Tyne and has been consultant psychiatrist in Birmingham since 1986. He was appointed Professor of Psychiatry at the University of Birmingham in 1999. He was responsible for year-4 clinical placements in psychiatry from 2001-2019. He was involved in RCPsych examinations from 1989 to 2005 and was Chief Examiner Royal College of Psychiatrists from 2002-2005. He is Associate Editor of the British Journal of Psychiatry. His research interests include clinical psychopathology and medical humanities. He is the author of Sims’ Symptoms in the Mind: textbook of descriptive psychopathology 4-6th editions. His other books include Mindreadings- literature and psychiatry & Madness at the Theatre. He has published 5 volumes of poetry and contributed critical essays to the Oxford Companion to 20th Century Poetry and Oxford Companion to Modern Poetry. He received the RCPsych Lifetime Achievement Award in 2016. Dr. Ross is Associate Professor of Psychiatry at the Yale School of Medicine and Associate Program Director of the Yale Adult Psychiatry Residency. The primary focus of his scholarly activities is on designing, implementing, and disseminating innovative educational resources. He is a Co-Founder and Co-Chair of the National Neuroscience Curriculum Initiative, the goal of which is to improve the integration of cutting-edge neuroscience into psychiatry. Through this work, he has helped create a set of shared curriculum resources that are now in use at more than 200 programs across the US and internationally. 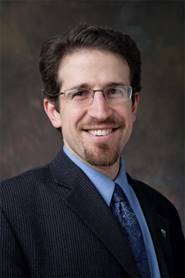 He has also overseen the creation of a series of Clinical Commentaries in Biological Psychiatry and a set of brief video resources (conceptualized as a hybrid between a TED talk and a Moth story), each of which is designed to take one core concept in neuroscience and make it clear, relevant, and accessible for a clinical audience.